One of India’s largest commercial real estate developers DLF has recently announced the opening of its shopping mall in Noida in February 2016. The realty major claims it to be one of the biggest malls in the country built with an investment of 1,100 crore. Many big/small retail brands have started opening their store with the recent entry of Big Bazaar Gen Next. The mall would open two anchors every week and will make the mall ready for public in February with more than 200 brands opening. With a leasable area of about 2 million sq ft. the malls expects to earn 200 crore per year. Imbibed with more than 450 retail units, largest indoor entertainment zone spread over 2 leves, 7 DT star screens and the largest food with over 1000 seats, this is the largest retail project from the DLF Group. Commenting on the expansion of the group’s retail portfolio, Sriram Khattar said, "DLF has been a pioneer in retail real estate in India. 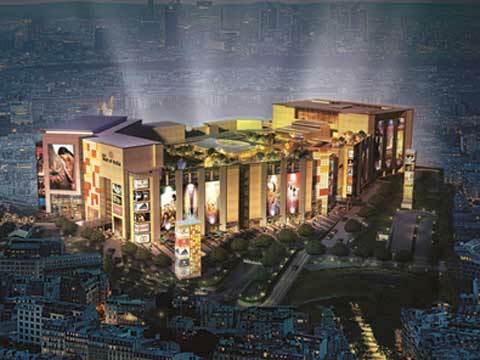 Continuing this legacy, we are delighted to give India, its first and the largest destination mall, DLF Mall of India. Our new project, DLF Mall of India, is yet another iconic offering and is an epitome of the best international practices and concepts designed for consumer delight." DLF has partnered with international project managers Turner and architect, Benoy to build DLF Mall of India with unique state of art architecture & designs showcasing international standards of environmental sustainability.